Bradford Ross and Kayla Austin. The parents of a baby found dead inside a trailer containing methamphetamine last summer are now facing negligent homicide and manslaughter charges after investigators determined that the child had ingested the drug. 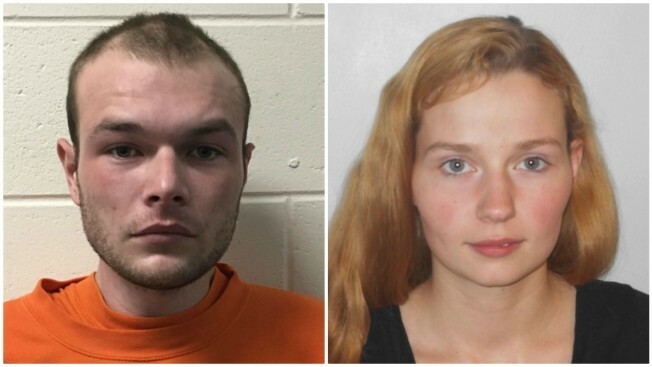 Bradford Ross, 25, and Kayla Austin, 21, of Concord, New Hampshire, are facing charges of negligent homicide, manslaughter and prohibited conduct. Both are being held without bail and are scheduled to appear in court on Wednesday. The charges stem from the death of their 2-month-old son on Aug. 1, 2016. Concord police said they responded to an address on Penacook Street for a report of a male infant who was unconscious and not breathing. The child was rushed to a local hospital and later pronounced dead. The child was located inside a small trailer on the property. The infant had been living in the trailer with his parents and a 2-year-old child who was found to be in good health. Police said their investigation spanned several months, and ultimately found that the infant was exposed to and ingested methamphetamine, which contributed to his death. The investigation also uncovered evidence that Ross and Austin were allegedly using and distributing methamphetamine out of the trailer. They also face multiple drug charges.